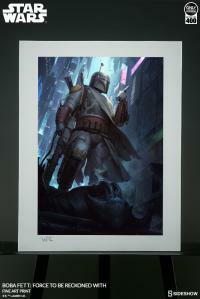 Sideshow is proud to present the Boba Fett: Force to Be Reckoned With Fine Art Print by artist Darren Tan. 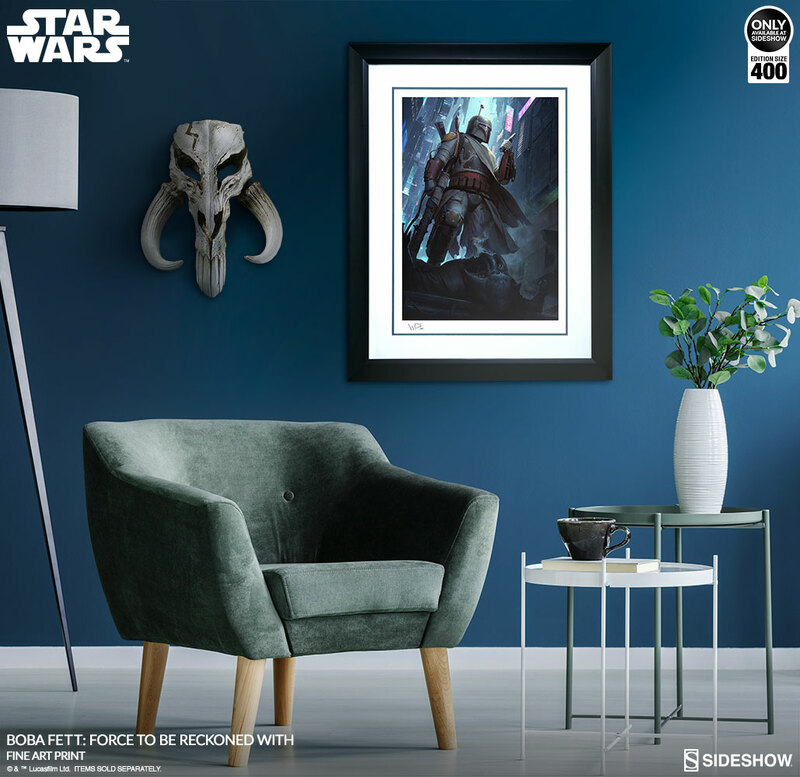 As a collection, Sideshow’s Mythos series are fine art collectibles that allow the collector to imagine what could have been, but maybe never was. 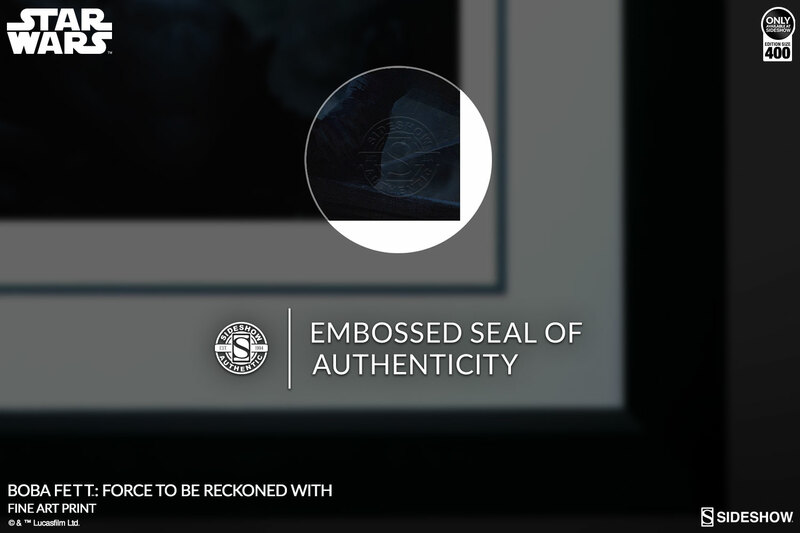 Myths meant to be initiated by the eye and completed by the mind. 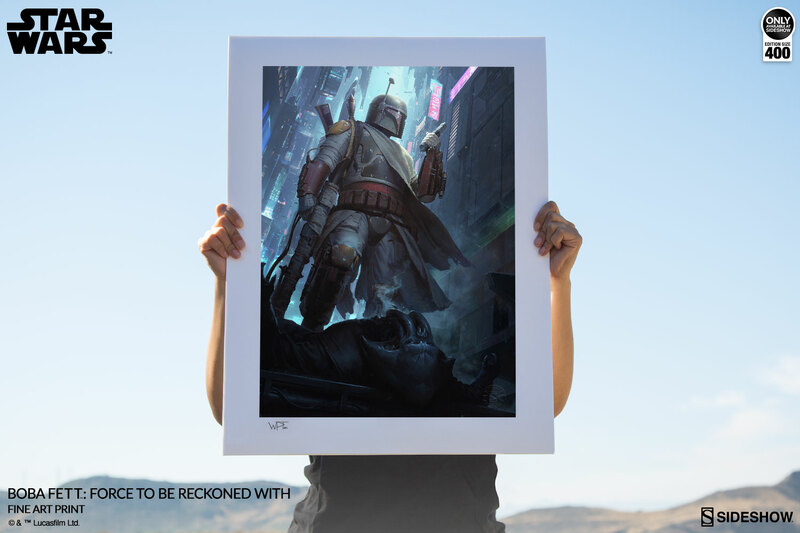 The Boba Fett: Force to Be Reckoned With Fine Art Print captures the legend of this feared bounty hunter in a never-before-seen way. 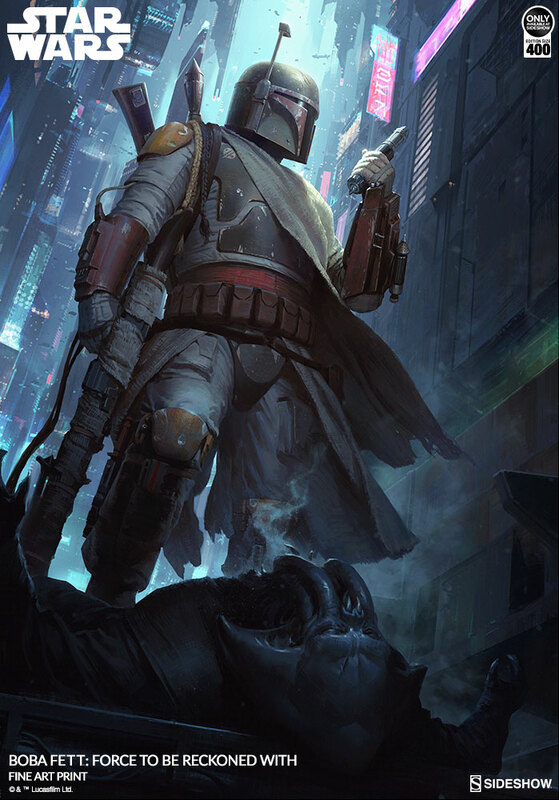 Within every sprawling galactic metropolis lies a seedy underbelly of criminal activity, where Boba Fett is primed to make his next capture. 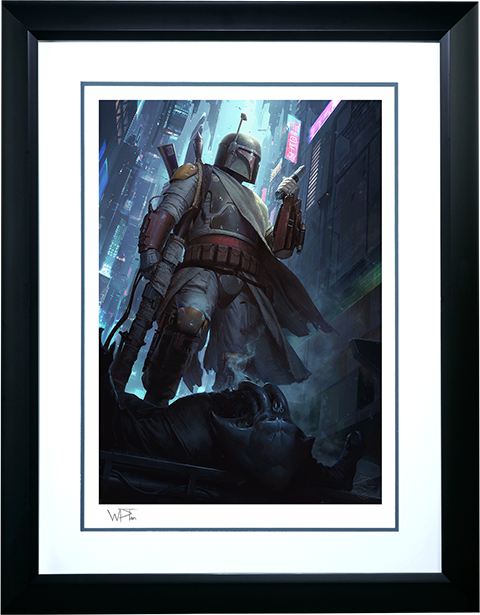 This fine art collectible depicts the indomitable Mandalorian bounty hunter making his latest acquisition, taking on a new trophy as the bustling urban skyline glows above him. 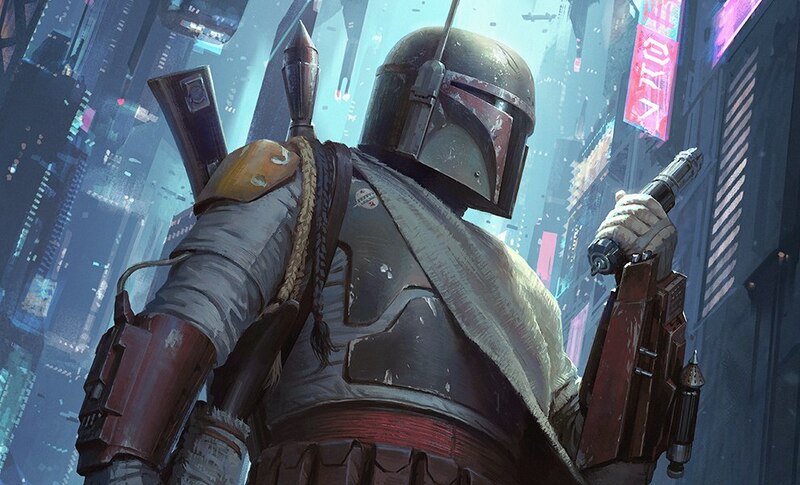 No matter the target, Fett is prepared to track even the most elusive target to the furthest reaches of the galaxy, all while armed with an arsenal of dangerous weaponry. 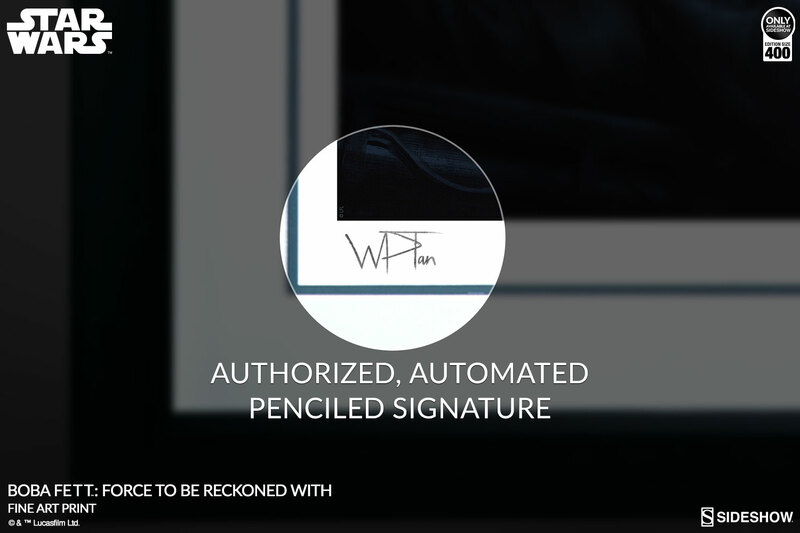 Each Boba Fett: Force to Be Reckoned With Fine Art Print will include an authorized, automated pencil signature with an embossed seal of authenticity as a part of the limited edition of 400. 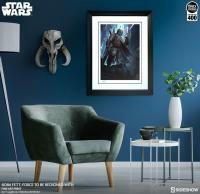 Don’t miss your opportunity to bring this exciting Mythos moment to your galaxy of Star Wars collectibles. Collect your bounty and add the Boba Fett: Force to Be Reckoned With Fine Art Print by Darren Tan to your wall today! 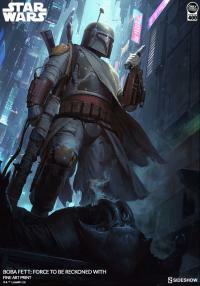 Darren Tan is a full-time freelance digital illustrator from Singapore. 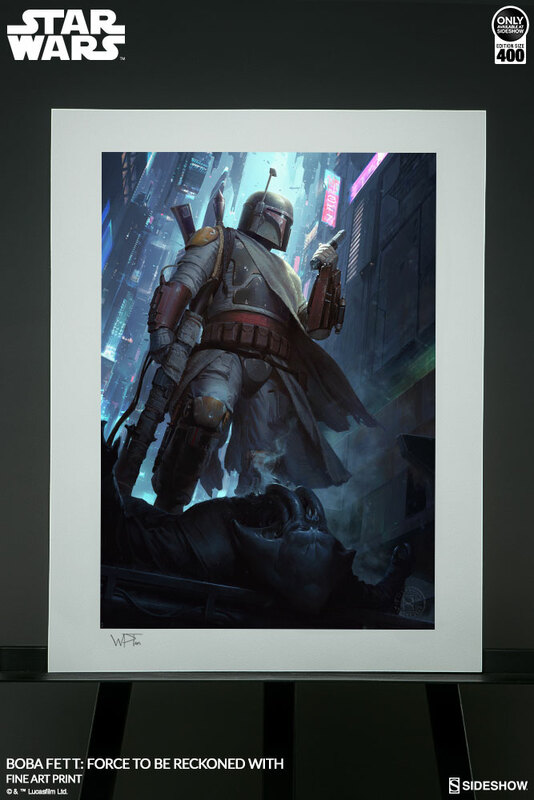 He specializes in Star Wars art and is a regular contributor to the Fantasy Flight Games series of Star Wars tabletop games, as well as Star Wars Books published by Del Rey Books. 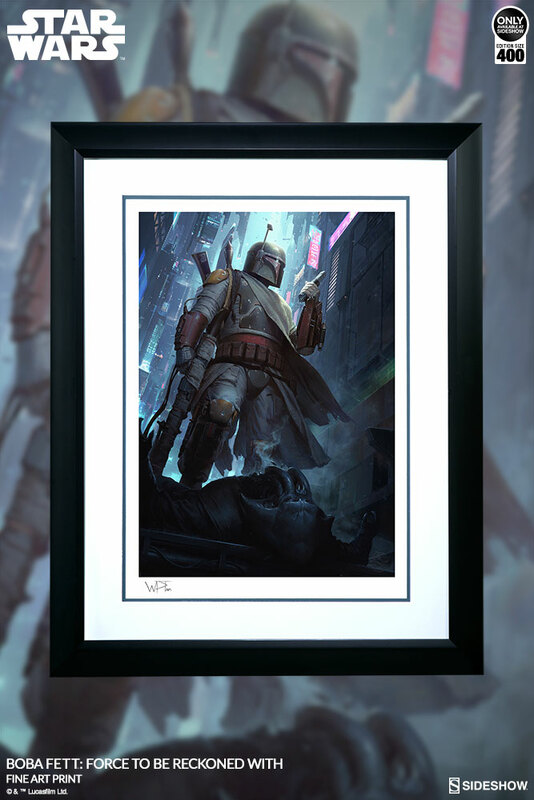 Additionally, Darren has contributed concept and illustration work for popular gaming properties like Warhammer 40k, Android: Netrunner, Legends Of The Five Rings, and Magic The Gathering. 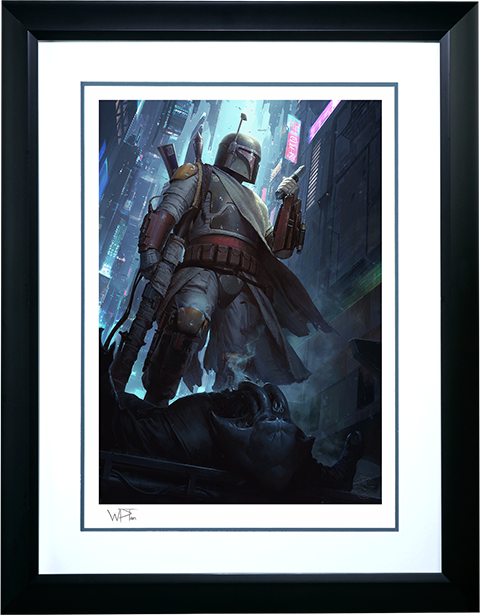 He also has a keen interest in historical military art and has contributed many works to Osprey Military and Adventures books as well as medieval and ancient historical magazines.